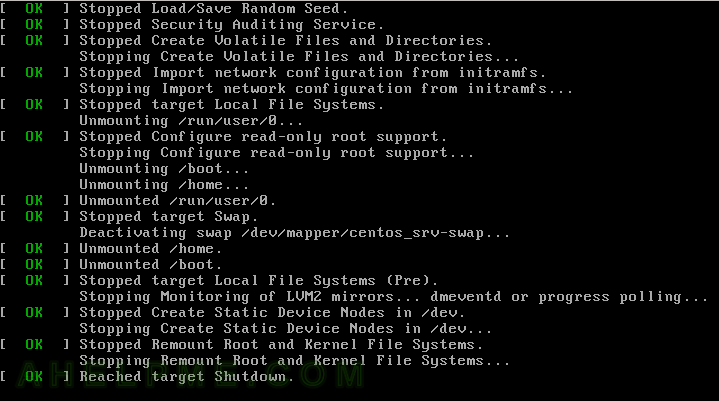 centos7 | Any IT here? Help Me! is really old (probably 7-9 years), but still it works, so you can check if you are with the latest and greatest firmware. Hope the latest fixes more things than it beaks. To flash the firmware you need Megaraid cli and the firmware file, the two files you check in the sub-directories of https://www.supermicro.com/wftp/driver/SAS/LSI/2108/Firmware/ They are still there despite this product is discontinued. In this URL these are the latest, tested and verified versions by Supermicro so it is advisable to download them from this link or at least use the same versions if they are not available (in the future, now they are still available). As you know LSI (they bought 3ware RAID in 2009) was bought by Avago (2013), then Avago bought Broadcom (2016 and renamed itself to Broadcom, 2018), so not so easy to find stuff for such old hardware (which still works). So this old MegaRAID controller is better managed by MegaCli despite you can do it with “storcli”, which is a modification of the tw_cli utility of 3ware RAID. It could happen to lose your Grafana admin password and luckily there is a pretty easy way to the system administrator of the Grafana server to reset the admin password. There is really good and simple page of how you can reset the admin password with grafana-cli in the documentation of Grafana website. Probably you can check it, too. The problem is that most distributions like the one we use (CentOS 7) it rearrange the home directory of the Grafana software and if you try to use grafana-cli you’ll end up with the error mentioned in the section below the solution we offer you here! And you really could mess up the thing and hurry to say this software is buggy! First, “grafana-cli admin reset-admin-password ” needs to know where is your configuration file and Grafana home directory, because from the configuration it will extract what kind of back-end server you use like sqlite3 or MySQL (or other) and the path or login data if needed to the back-end, then it will reset the password with the given one. At the bottom of this article there is another method of resetting the Grafana admin password without grafana-cli – manual reset in the database. Here are the commands needed to load a new kernel without rebooting your server or desktop computer. Why you need this? Sometime rebooting a server could take 5 to 10 minutes and loading a new kernel is just up to a minute. In fact in most cases loading the new kernel and starting the system then is just under 20-30 seconds, so upgrading your server even with new kernel is super easy lately. We tested it on CentOS 7 server and it was successful. The system uses systemd and the process is really easy and safe for the systems. When the processes is initiated the system shutdowns normally (shutting down all running service with systemd) and then load the system immediately with the new kernel and starts the services as usual! So no need to worry about unflushed data or not proper shutdown of a service! It’s like a normal reboot but without a hardware reboot and is a lot faster! kexec -l /boot/vmlinuz-3.10.0-862.11.6.el7.x86_64 --initrd=/boot/initramfs-3.10.0-862.11.6.el7.x86_64.img --command-line="root=/dev/mapper/centos_srv-root ro crashkernel=auto rd.lvm.lv=centos_srv/root rd.lvm.lv=centos_srv/swap rhgb quiet LANG=en_US.UTF-8"
So we performed an update and there was a new kernel kernel.x86_64 0:3.10.0-862.11.6.el7, which we would like to load without hardware reboot. dr-xr-xr-x. 17 root root      224 14 Jun  7,18 ..
dr-xr-xr-x. 5 root root     4096  5 Sep 15,21 . [root@srv ~]# kexec -l /boot/vmlinuz-3.10.0-862.11.6.el7.x86_64 --initrd=/boot/initramfs-3.10.0-862.11.6.el7.x86_64.img --command-line="root=/dev/mapper/centos_srv-root ro crashkernel=auto rd.lvm.lv=centos_srv/root rd.lvm.lv=centos_srv/swap rhgb quiet LANG=en_US.UTF-8"
Connection to srv closed by remote host. As you can see systemd performs a normal shutdown of all services and targets. The ssh connection is immediately closed because the reboot is initiated. It’s been a while since a new tcp congestion has been developed (by Google), which has the potential to replace the default cubic one! The TCP BBR tries to keep being fast and improves the network connectivity when there is packet loss. Enabling it on the server does not require it to enable it on the client to function BBR algorithm properly. So probably we’ll see the switch to this new tcp congestion control in the next major linux distros releases. Here we present how to enable TCP BBR on your CentOS 7 box. As you know the CentOS 7 uses kernel 3.10.X and the TCP BBR was introduced in version 4.9+ kernels and in version 4.13 and on it has a tcp-level pacing so you do not need the qdisc “fq” to be enabled, when using TCP BBR. So we need a new kernel version 4.9 and on and the easiest and safest way to do it to use the mainline kernel from https://www.elrepo.org/. We have a detailed howto for this if you need more information on using mainline kernel with your CentOS 7.
remote: Counting objects: 4926, done. Receiving objects: 100% (4926/4926), 1.45 MiB | 0 bytes/s, done. Resolving deltas: 100% (3512/3512), done. [myuser@srv build]# export CFLAGS="-O2 -march=native -msse3 -fomit-frame-pointer -pipe"
Execute the program to see if everything is OK. With the help output you can see how many algorithms are supported as of version 2.4.5 of xmr-stak. If config exists then this pool will be top priority. -p, --pass PASSWD          pool password, in the most cases x or empty ""
Brought to by fireice_uk and psychocrypt under GPLv3. Using Cryptonote V7 Variant 1 (aka. “monerov7″/”cryptonight_v7”) algorithm. First run. - Do you want to use the HTTP interface? Unlike the screen display, browser interface is not affected by the GPU lag. Brought to you by fireice_uk and psychocrypt under GPLv3. Based on CPU mining code by wolf9466 (heavily optimized by fireice_uk). [2018-06-28 01:30:14] : Starting 1x thread, affinity: 0. [2018-06-28 01:30:14] : Starting 1x thread, affinity: 1. [2018-06-28 01:30:14] : Starting 1x thread, affinity: 2. [2018-06-28 01:30:14] : Starting 1x thread, affinity: 3. [2018-06-28 01:30:14] : Difficulty changed. Now: 50000. [2018-06-28 01:30:14] : Pool logged in. [2018-06-28 01:30:35] : Result accepted by the pool. [2018-06-28 01:30:43] : Difficulty changed. Now: 35714. [2018-06-28 01:30:43] : New block detected. [2018-06-28 01:31:13] : Difficulty changed. Now: 25000. [2018-06-28 01:31:13] : New block detected. [2018-06-28 01:31:43] : Difficulty changed. Now: 17500. [2018-06-28 01:31:43] : New block detected. [2018-06-28 01:32:13] : Difficulty changed. Now: 12250. [2018-06-28 01:32:13] : New block detected. the processor is “Intel(R) Xeon(R) CPU E3-1231 v3 @ 3.40GHz” and the hash power is 274.7 H/s. Systemd linux distros use Journald service to collect and store logs in the system. Here are a couple of tips if you have problems with the space they occupy. It is good that all systemd linux distros support it – CentOS 7, Ubuntu 16+, Fedora, OpenSuse and so on. Time based removal of old logs. It will remove the old files. This command won’t change the configuration, so it just has a temporary effect. Size based removal of old logs. It will reduce the size of the logs to this specified size. This command won’t change the configuration, so it just has a temporary effect. Archived and active journals take up 785.5M on disk. Deleted archived journal /var/log/journal/9be717e698354ec481abb641cf4085c3/system@79d0440cc1174c2db132b707a0567bcb-0000000000a33241-000570199db5be3c.journal (8.0M). Deleted archived journal /var/log/journal/9be717e698354ec481abb641cf4085c3/system@79d0440cc1174c2db132b707a0567bcb-0000000000a34463-0005701a0b24d0fc.journal (8.0M). Deleted archived journal /var/log/journal/9be717e698354ec481abb641cf4085c3/system@79d0440cc1174c2db132b707a0567bcb-0000000000a3568c-0005701a79e388c7.journal (8.0M). Deleted archived journal /var/log/journal/9be717e698354ec481abb641cf4085c3/system@79d0440cc1174c2db132b707a0567bcb-0000000000a36899-0005701ae529f439.journal (8.0M). Deleted archived journal /var/log/journal/9be717e698354ec481abb641cf4085c3/system@79d0440cc1174c2db132b707a0567bcb-0000000000a37ac8-0005701b50781f62.journal (8.0M). Deleted archived journal /var/log/journal/9be717e698354ec481abb641cf4085c3/system@79d0440cc1174c2db132b707a0567bcb-0000000000a38cde-0005701bbd3b60c3.journal (8.0M). Deleted archived journal /var/log/journal/9be717e698354ec481abb641cf4085c3/system@79d0440cc1174c2db132b707a0567bcb-0000000000a39ef6-0005701c28dcf40e.journal (8.0M). Deleted archived journal /var/log/journal/9be717e698354ec481abb641cf4085c3/system@79d0440cc1174c2db132b707a0567bcb-0000000000a3b0f1-0005701c9416ee94.journal (8.0M). Deleted archived journal /var/log/journal/9be717e698354ec481abb641cf4085c3/system@79d0440cc1174c2db132b707a0567bcb-0000000000a3c309-0005701cffe19015.journal (8.0M). Deleted archived journal /var/log/journal/9be717e698354ec481abb641cf4085c3/system@79d0440cc1174c2db132b707a0567bcb-0000000000a3d521-0005701d6c79b9cb.journal (8.0M). Deleted archived journal /var/log/journal/9be717e698354ec481abb641cf4085c3/system@79d0440cc1174c2db132b707a0567bcb-0000000000a3e748-0005701dd7c60e79.journal (8.0M). Deleted archived journal /var/log/journal/9be717e698354ec481abb641cf4085c3/system@79d0440cc1174c2db132b707a0567bcb-0000000000a3f92d-0005701e48413eb8.journal (8.0M). Deleted archived journal /var/log/journal/9be717e698354ec481abb641cf4085c3/system@79d0440cc1174c2db132b707a0567bcb-0000000000a40b0a-0005701ec83a0c74.journal (8.0M). Deleted archived journal /var/log/journal/9be717e698354ec481abb641cf4085c3/system@79d0440cc1174c2db132b707a0567bcb-0000000000a41ce2-0005701f3fdcadc6.journal (8.0M). Deleted archived journal /var/log/journal/9be717e698354ec481abb641cf4085c3/system@79d0440cc1174c2db132b707a0567bcb-0000000000a42f04-0005701fabfefbca.journal (8.0M). Deleted archived journal /var/log/journal/9be717e698354ec481abb641cf4085c3/system@79d0440cc1174c2db132b707a0567bcb-0000000000a4410e-000570201757a256.journal (120.0M). Deleted archived journal /var/log/journal/9be717e698354ec481abb641cf4085c3/system@79d0440cc1174c2db132b707a0567bcb-0000000000a60a8f-0005702ac025bb0c.journal (120.0M). Deleted archived journal /var/log/journal/9be717e698354ec481abb641cf4085c3/system@79d0440cc1174c2db132b707a0567bcb-0000000000a7d254-000570359f2bd7eb.journal (120.0M). Deleted archived journal /var/log/journal/9be717e698354ec481abb641cf4085c3/system@79d0440cc1174c2db132b707a0567bcb-0000000000a99a34-000570405b5e812e.journal (120.0M). Deleted archived journal /var/log/journal/9be717e698354ec481abb641cf4085c3/system@79d0440cc1174c2db132b707a0567bcb-0000000000ab639b-0005704b05553c7d.journal (120.0M). Deleted archived journal /var/log/journal/9be717e698354ec481abb641cf4085c3/system@79d0440cc1174c2db132b707a0567bcb-0000000000ad2c3e-00057055cb403fae.journal (120.0M). Deleted archived journal /var/log/journal/9be717e698354ec481abb641cf4085c3/system@79d0440cc1174c2db132b707a0567bcb-0000000000aef5c8-000570607686fd78.journal (120.0M). Vacuuming done, freed 960.0M of archived journals from /var/log/journal/9be717e698354ec481abb641cf4085c3. This howto shows how you can use ffmpeg to hardware accelerate the video decoding and encoding if you have the proper Intel processor. Some of the Intel processors have GPU unit in them, which can be used to decode and encode video streams and it is pretty fast! High end Intel CPU could encode around 20 h264 (using faster preset) video streams on a single processor mini server as SUPERMICRO system using X11SSV-M4F. Here are the steps how to enable the hardware options and what and how to install the software to hardware encode a video stream successful under linux – CentOS 7 distro. 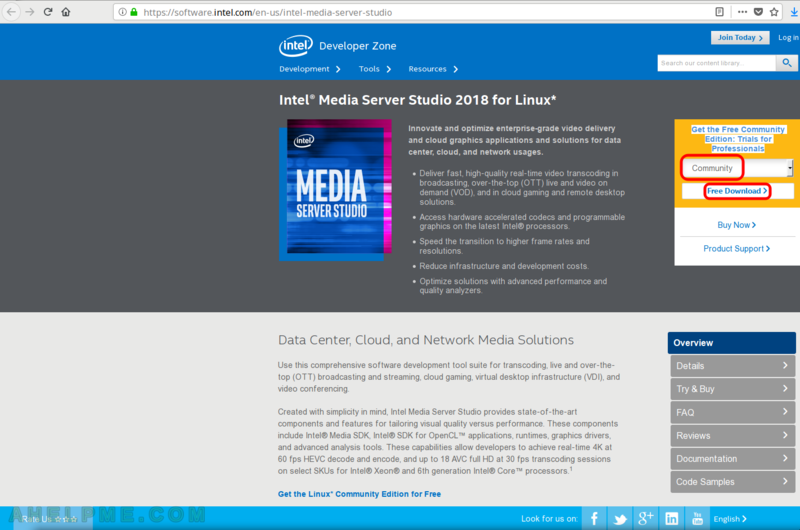 For the first four steps just follow the howto “Install Intel Media Studio SDK and GPU driver from Intel Media Server Studio 2018 R1 – CentOS 7 (7.4.1708)” Here we include only the headers of the steps, because they are important part of this howto. STEP 1) Enable internal graphics in your system. STEP 7) Install yasm – a dependency for the ffmpeg software. [root@srv yasm-1.3.0]# export CFLAGS="-O2 -march=native -msse3 -fomit-frame-pointer -pipe"
[root@srv ffmpeg-2.8.14]# export CFLAGS="-O2 -march=native -msse3 -fomit-frame-pointer -pipe"
And now you have a ffmpeg installation build against Intel API libmfx dispatcher, which could benefit from the hardware acceleration in decoding and encoding video streams. Thus using a Intel QuickSync technology. You can see ffmpeg is using VA-API and /opt/intel/mediasdk/lib64/iHD_drv_video.so for video acceleration encoding. This tutorial shows how to install GPU video Driver for Intel Internal Graphics – the GPU unit in Intel processors and the Intel Media SDK to enable hardware video decoding and encoding capabilities of the Intel processors with GPU builtin. But you can use a Desktop processor like Intel i3, i5, i7, which have builtin GPU and the chances the motherboard supports it is really big, just enable it from the BIOS. We need this specific version, because at present the latest version of Intel Media Server Studio requires it. Intel support only this specific version with their latest Intel Media Server Studio 2018 R1 – we need it because it ships the needed Intel GPU driver and the right libraries to compile against. Here is a howto how you can install this version – Howto do a netinstall of CentOS 7 – minimal server installation Now this version is deprecated so you could have problems finding it. Here is the right place – http://vault.centos.org/7.4.1708/isos/x86_64/ Just follow the instructions for downloading. is the GPU unit of “Intel(R) Xeon(R) CPU E3-1585 v5 @ 3.50GHz”. If you do not see it with lspci you woud not be able to proceed with the steps below. It assumes you are the root user, downloaded the MediaServerStudioEssentials2018R1.tar.gz from the previous step (step 3) and put the file in /root/ directory. Checking yum by paramters "--releasever=7.4.1708"...Failed! This Version of MediaServerStudio has been validated against CentOS 7.4.1708. To install MediaServerStudio there is a requirement to install packages using yum package manager. yum package manager automatically installs from latest CentOS released version repository. If CentOS latest release version is newer than 7.4.1708, yum will default to install packages from this repository. This could lead to packages been installed that could conflict with this version of MediaServerStudio and cause installation to fail. It is ultimate responsibility of user to manage yum repositories to ensure that packages installed during installation of MediaServerStudio using yum package manger are installed from correct repository. For more information on CentOS version please see: "https://wiki.centos.org/FAQ/General#head-dcca41e9a3d5ac4c6d900a991990fd11930867d6"
1: (default) Installation Script will automatically attempt to enable correct repositories to install from. 2: User can manually edit yum repository files to ensure yum installs from correct repository, i.e. " --releasever=7.4.1708" is workable. If this option is chosen installation will abort then user need to fix yum repository files and run this script again. The reason of (b) is centos will move from mirror to vault for old versions then (a) won't work any longer. It is expected the same deprecation of mirror will happen one day for CentOS7.4, too. Please finish the modification and re-run the script to install. Checking yum by paramters "--releasever=7.4.1708"...Succeeded! Installing prerequisiters with yum parameters "--releasever=7.4.1708"...Succeeded! You can see this time the installation script completed successfully. You should reboot to load the Intel GPU driver. [    2.114138] drm: loading out-of-tree module taints kernel. [    2.135059] [drm_ukmd] Supports vblank timestamp caching Rev 2 (21.10.2013). [    2.135060] [drm_ukmd] Driver supports precise vblank timestamp query. drwxr-xr-x. 2 root root       120 26 Jun  1,35 .
drwxr-xr-x. 19 root root      3220 26 Jun  1,35 ..
see the troubleshooting section below! You can use a sample program from the SDK to verify everything is installed properly – the Driver and the libraries are installed and loaded. The test is “PASSED”, the sample stream is transcoded successfully with hardware accelaration. * Troubleshooting – missing /dev/dri/ directory and no KMS by default! [    2.111649] drm: loading out-of-tree module taints kernel. [  594.429823] [drm_ukmd] Supports vblank timestamp caching Rev 2 (21.10.2013). [  594.429823] [drm_ukmd] Driver supports precise vblank timestamp query. drwxr-xr-x. 2 root root       100 25 Jun 13,20 .
drwxr-xr-x. 19 root root      3220 26 Jun  0,24 .. If you see the “/dev/dri/renderD128” the Intel GPU driver is loaded correctly and you can use hardware video decoding and encoding. Now you should have “/dev/dri” directory. Click on the second page. 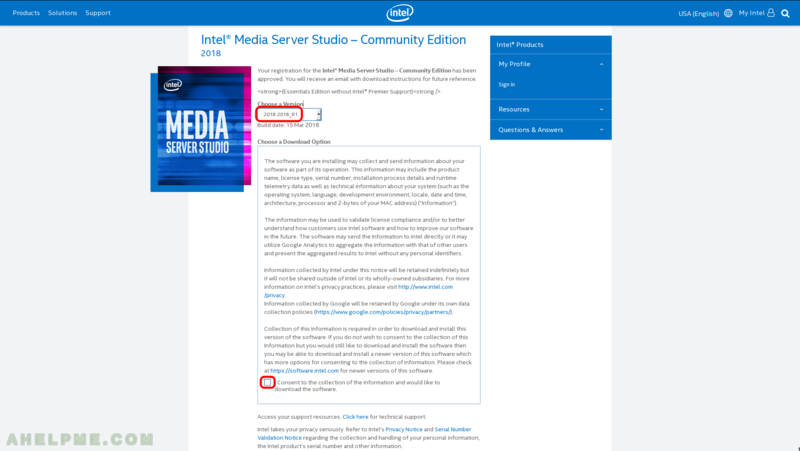 This howto is just information what to expect from the community package of Intel Media Server Studio. This package is the starting point of the Quick Sync using and development process – you’ll need parts of it if you want to use hardware encoding and decoding for video streams like MPEG-2, H.264, VC-1, VP8, VP9, HEVC and more! Most of the time this package is needed for the Intel® Media SDK and the graphics drivers it provides. So the main purpose here is to give you an information which version of the SDK and the graphics drivers are included in the different package and which kernel and Linux distro is supported. Different versions support different OS linux distros – mainly different CentOS 7. The package supports also a Generic Linux installation on a relatively older kernel. This package (as you can see below) supports CentOS 7.4.1708 or any linux distro by downloading kernel 4.4.111. STEP 1) Get the free community edition, select “Community” from the dropdown as shown and click on “Free Download”. 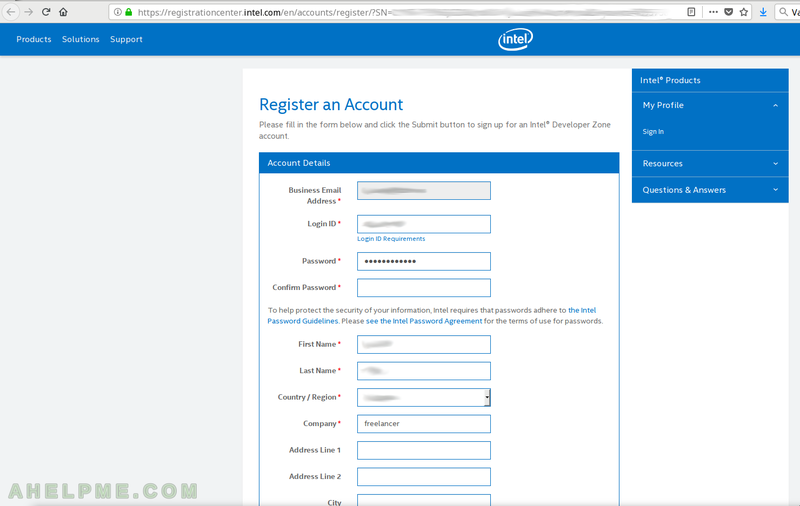 STEP 2) Intel wants to register before downloading the Community edition, if you have already had an account you could sign in. Fill the data with your personal and company details, do not fake them! You can miss something important from Intel and you know they give you a big piece of software for free, which could help you a lot! STEP 3) Check your details, enter your password and click “Register” on the bottom. STEP 4) Click on “Choose a Version” and select “2018 2018_R1” – this is the latest version at the moment. If you need another one just choose the right for you from the dropdown box. Check the checkbox with the “Consent to the collection of the information and would like to download the software”. 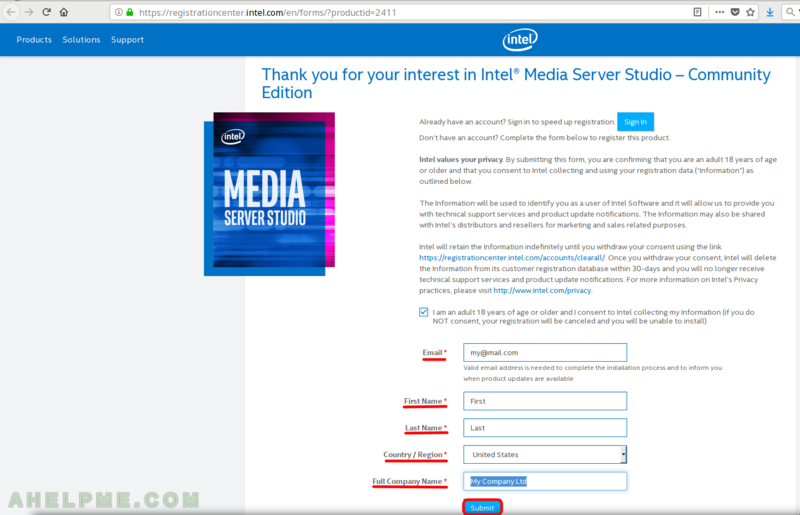 STEP 5) To download the package click in “Intel Media Server Studio for Linux*”, the file is 549MB in size. STEP 6) The file name is MediaServerStudioEssentials2018R1.tar.gz and in fact it is the Essentials version of the studio without any paid support. it supports CentOS version 7.4.1708, because it is deprecated you should use vault.centos.org. Generic Install – the setup will try to download kernel version 4.4.111 and install above libraries and compile i915 module. STEP 3) Use the installed tools. Because using such a package with multiple complex packages you must configure multiple environment and links to the versions you installed replacing the ones from your base system, but the package comes with a handy tool, which executing it will configure everything and you are ready to go! And you’ll be in a bash environment, which is configured for GNU GCC 7. As long as you are in this bash shell (you do not type exit) your environment is configured to use GNU GCC 7 and you can use make, cmake to compile your projects with this newer version. g++ version must be at least 5.1!